Are you ready for another great Saturday night for the Easter weekend? We're sure it's a yesss!!! 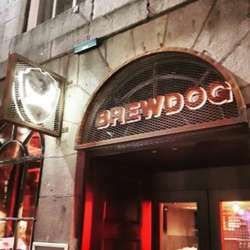 We will be waiting for you all at the famous BrewDog Castlegate, as a usual our reserved area will be downstairs at right on side. We will have many new guests waiting to meet new friends, so don't worry if you're coming alone! And don't forget... the event starts at 19:30 sharp!